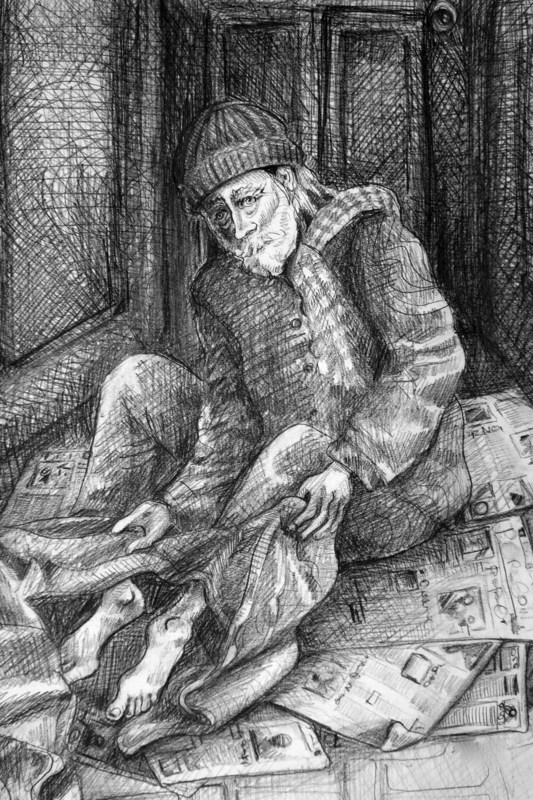 The early years of the 20th century were the golden years of the hobo. The railroad was still expanding westward, and the demand for unskilled labor was at its peak. Transient men arrived in great numbers to the booming new metropolis of Portland. Men were needed to load and unload railcars and ships, smash rock for gravel, saw lumber, and pick fruit and hops outside the city limits. But even as the new Portland elite relied on the labor of a cheap workforce to build their wealth, they created a community that actively denigrated and isolated that workforce. Portland’s itinerant laborers became confined to the oldest core at the north end of the city where their raw poverty would not challenge the image of a gleaming new city. Skid Row, now known as Old Town, served as a temporary home for the unskilled, itinerant workforce whose sporadic paychecks did not provide them with a living wage. Skid Row provided cheap meals, flop houses, saloons and charitable missions. 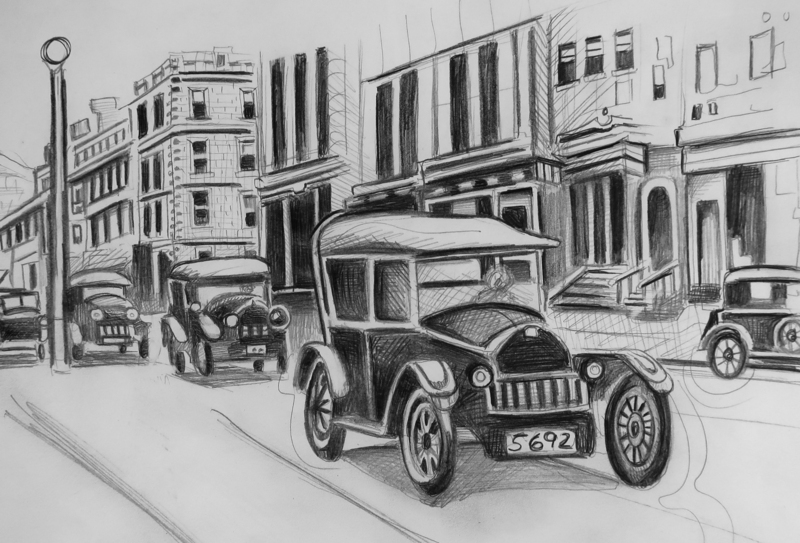 The arrival of the automobile had a negative effect on resources available to the workers who made up Portland’s cheap labor force. Rural families and “rubber tire tramps” with their sputtering jalopies could reach jobs previously open only to men on foot. Workers could now live some distance from where they worked. More and more support systems were needed for the new automobile age including public parking garages, gas stations, ramps onto bridges and wider, all-weather streets. These support systems were built on the most dispensable real estate, often replacing the run down flophouses, missions and cheap hotels of Skid Row. The Depression years brought poor families pouring into Portland in unprecedented numbers. Skid Row saw an abrupt influx of rural families, as well as Native American, African-American, Japanese, Irish, Russian Jewish, Greek, Chinese and Italian immigrants who came looking for temporary relief and all too often became permanent residents as they tried to recover from the shock of the Depression. 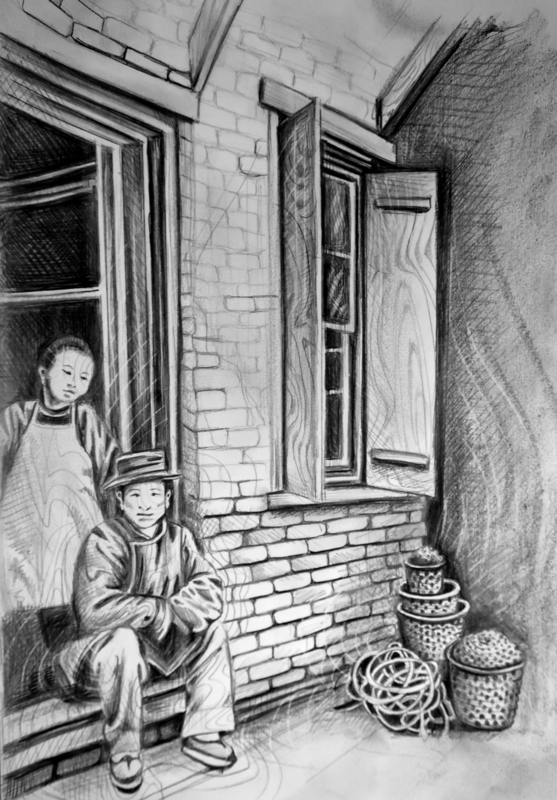 The continuing influence of the Chinese Exclusion Act of the 1880s restricted the movements of the Chinese and Japanese immigrants beyond the Skid Row core. In response, Chinese and Japanese families built strong, sequestered communities to protect themselves from racial discrimination. In the 1950s, urban renewal projects further decreased available housing. The post-World War II inner city revival began in earnest as old buildings went the way of the wrecking ball and gleaming new glass skyscrapers were built, replacing residential hotels, stores that sold used work clothes, and other necessities in the life of a low-wage worker. Mechanization and automation increasingly reduced the availability of jobs. Skid Row was no longer viewed as a necessary, if unsightly, reservoir for unskilled labor. The residents of Skid Row were now collectively viewed as moral failures, alcoholics and drug users. The term “Burnside bums” was coined in the early 1960s. Community associations formed to try and deal humanely with the increasing numbers of men and women living in poverty. There was constant tension between those who wanted to increase aid and those who advocated dumping all the residents of Old Town outside the city limits. Along with veterans from the Vietnam War and an aging population further and further detached from the job market, the 1970s and ’80s saw the deinstitutionalization of the mentally ill, without services to care for them. These souls gravitated to Old Town, one of the only places with the bottom-line resources they needed for survival. Affordable housing did not meet the needs of the growing number of people without means. Long lines formed each evening outside shelters. Those who did not get a bed slept on the streets. Today the legacy of Old Town continues. One hundred years of history speaks through the weathered bricks and warrens of single rooms in the old residential hotels. Low-wage workers, retirees, the disabled, the mentally infirm, immigrants and those who struggle with addiction still populate the area, in the footsteps of those who came before. More and more find shelter in doorways and sidewalks as the price of housing soars throughout the city.